From the streets to the beaches, you’re sure to make a big wave in our canvas White Stripes avarcas. 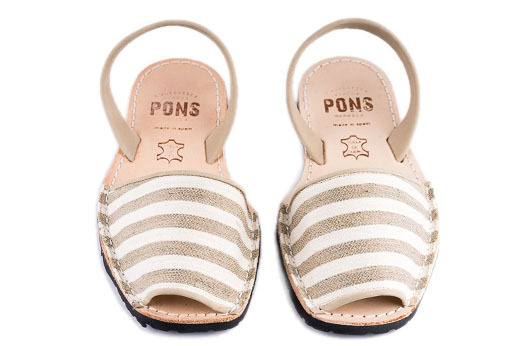 Pair them with a flowy sundress for a day out or take them to the beach or poolside for some rest and relaxation; either way, these Pons will get you where you're going in comfort and style. Our durable & versatile avarcas are handcrafted in Spain using high quality woven canvas, all-natural leather lining, trim, and heel straps, and have a lightweight rubber sole.